Back in July, Apple announced that the iPod Shuffle and Nano lines were being discontinued. It took 10 years, but the mighty iPhone had finally, totally cannibalized its predecessor. 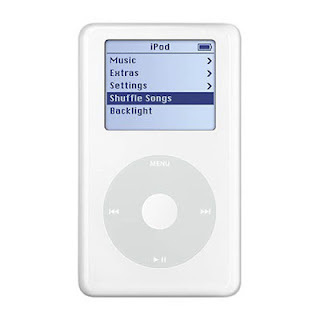 AAAD has written about the iPod several times over the years -- here's a list of the 5 Greatest iPods Ever Produced, for instance -- but the iPod was already an afterthought when AAAD started in 2012. In fact, the iPod has been irrelevant for most of this decade. But for years, it was a cultural touchstone. The iPod played a huge role in Apple's early-2000s return to prominence. The iPod was SO pervasive that for years, the iPhone's Music app was called "iPod". My first iPod was a classic Gen 4 20 GB "iPod + HP". With the clickwheel. White front, stainless steel back. It was absolutely beautiful. Now picture this, with 30 million songs. Voice controlled. On your wrist. And it takes calls. Like most people my age, my memories of the mid-aughts are often intertwined with the music I was listening to on my iPod. It brought us out of the world of physically burning CD-Rs, and into the idea of music as an intangible concept, to be available to us at all times. I distinctly remember walking through Chicago's Loop on the way to to my first lawyer job one fall morning, with Guided By Voices "Surgical Focus" blasting in my ears. It felt like I was living in the intro sequence to a TV show. Apple no longer sells devices which are totally - or even primarily - dedicated to playing music. I've had an Apple Watch Sport since it was originally introduced. It's really impressive as a piece of tech, and it does a couple of things very well. Fitness tracking, sure. For me, most importantly, it provides a method for receiving notifications without looking at my iPhone. But really, the Apple Watch has been a second screen - a more accessible, less useful screen - for the iPhone. An iPhone accessory. 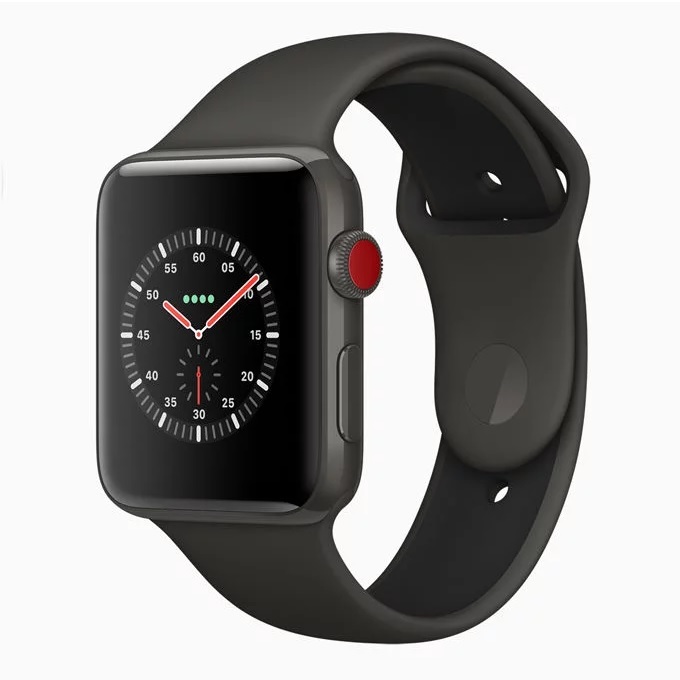 As widely rumored, the Apple Watch Series 3 adds LTE cellular. Many pundits failed to see the utility.... but after the Keynote, the world seems to be won over. "The new Apple Watch might just be the future after all". The Apple Watch Series 3 is not an iPhone accessory. It's a full-featured replacement for the iPhone. Pair it with AirPods and Apple Music, and you have a dream iPod. Every song in the world. Accessible immediately, by voice. Coming from a waterproof device securely fastened to your wrist. Granted, the Apple Watch can't do everything that an iPhone can. But given the impact the iPhone has on my life, making "mindless web surfing" less of a "default" will be a good thing. In fact, reducing my device interactions to "Taking phone calls, listening to music, and basic text messaging" may be a step back in functionality, but a giant leap forward in productivity. ....and, an Apple Watch Series 3. Out of all of those, the Apple Watch Series 3 has rocketed up to #1 on my list. I'm going to pony up for the presale. One week ago, the idea that I'd be upgrading my Apple Watch before getting a new iPhone would have been ridiculous. Today, it seems obvious. Apple Watch Series 3 is one of the most compelling products I've seen from Apple in YEARS. NOW.... don't get me wrong, I STILL want to see a new "iPod", and it would be great if Apple could make one - at a lower price point than the Apple Watch Series 3. A cellular iPod could be cheaper than the Apple Watch - first because it would be larger, and secondly, because it wouldn't need the same functionality. An iPod with a bit more local storage, and the ability to stream Apple Music. Rugged - think plastic shell, not steel or aluminum. Designed for working out. A belt clip, or an arm band. Additional functionality could be added via accessories. Voice control via AirPods. A bluetooth heart rate monitor. Apple's recent renaissance started with the iPod - a device that did only one thing, but did it extremely well. Over time, Apple's product line has morphed into multipurpose devices, culminating with the iPhone - a device which does MANY things extremely well. But there's still room for the lowly music player - and Apple's HomePod indicates that they may not be done with the -Pod naming convention, either. If the Apple Watch 3 drives Apple Music subscriptions, then a lower-cost iPod seems like the logical next step.